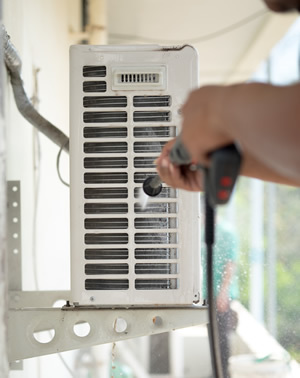 Your air conditioners may start having malfunctions or completely break down at the most inconvenient times. And this is when only one name should come to your mind– SYDNEY AIR CONDITIONING REPAIR. For years, we have been providing the highest quality air con services in Sydney and its surrounding areas. We pride ourselves on the excellence of our work, transparent and clear communication and the most reliable and affordable air con services in Sydney. All our technicians have qualifications, experience and expertise to take care of your AC units quickly and efficiently, no matter which AC model or make you have installed. Their extensive knowledge allows them to diagnose the issues you are having and offer the most affordable solution. Our tracks are fully stocked with a wide range of inventory which enables us to fix the majority of issues immediately. SYDNEY AIR CONDITIONING REPAIR works hard to give you the best air conditioning repairs in Sydney. Sometimes repair is not your best choice in the long run nor the most cost effective option. Our technicians will guide you through the entire process of choosing the most efficient system for your space and replace your old AC with a new one. Your comfort and satisfaction are our main priorities and this is why we respond to your call within hours, schedule a service call as quickly as possible and are at your door on time ready to do the job right. FOR ALL AIR CONDITIONING REPAIRS IN SYDNEY, CALL NOW!